Africans made metal tools by sharpening them with stone instruments, before they started using European-style hoes and specialized tools. 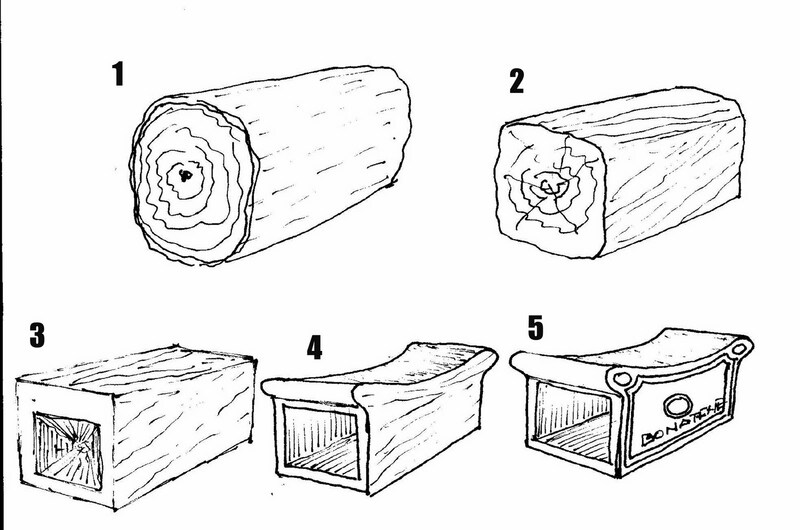 Stools were mainly found in forest areas, because of the availability of large blocks of wood. 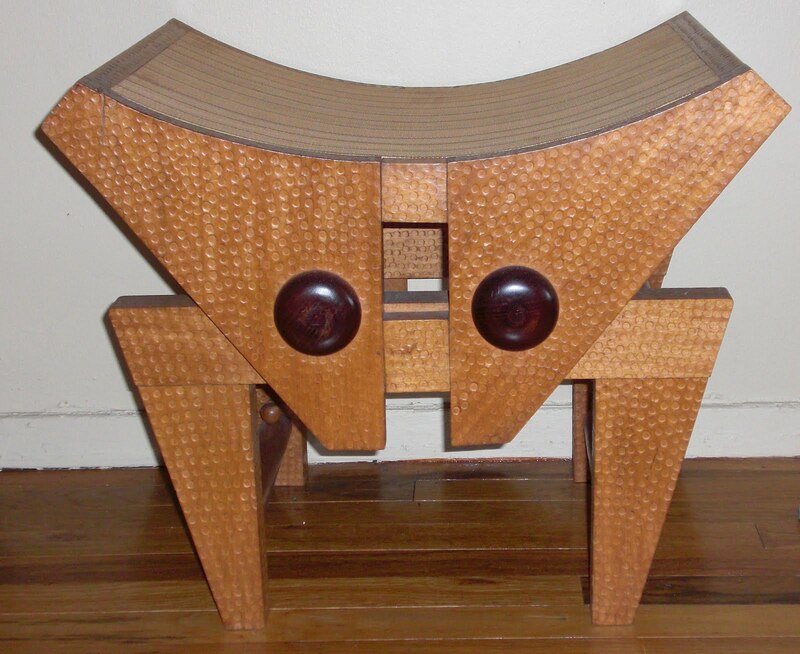 Traditionally, a person would put in an order for a custom stool with a professional sculptor, who would make it out of a block of wood. First the wood had to be hollowed out with a hoe, called a dibao. 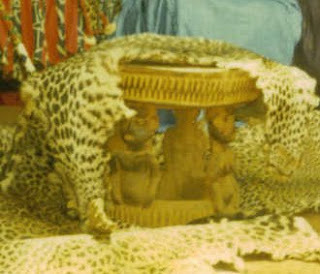 The sculptor would use a controlled fire (using hulls of palm nuts, or banana leaves) within the wood, to soften it in order to be able to hollow it out, in a similar way as used when making a pirogue. 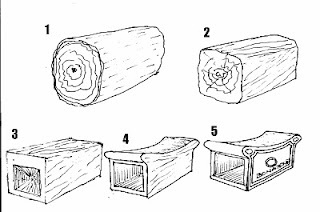 The sketch shows the way the stool was sculpted, along with the photo of a finished stool. Before the use of sandpaper, leaves of a plant named (in Duala) Djolossi were used to smooth the wood. Modern stools, such as those by Padouk Design, are made from separate pieces of wood, that are sculpted and pre-sanded before assembly, and assembled by metal screws, or by tenon and mortise. Note: There is a comprehensive German book on the subject of African seats: Afrikanische Sitze, published by Prestel. Thanks to my husband, Epee Ellong, for the historical details. This is a follow-up to "African Stools."